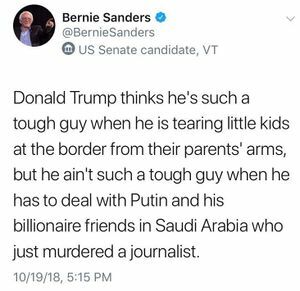 1 Who was Jamal Khashoggi? 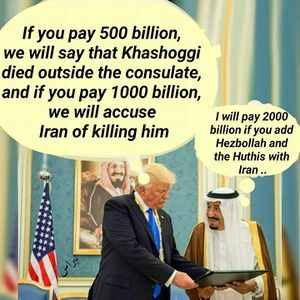 US President Donald Trump said on Monday that he spoke by phone with Saudi Arabia's King Salman, who denied any knowledge of what happened to journalist Jamal Khashoggi. Fingerprints found during the search include those of Salah Muhammad al-Tubaigy, an autopsy expert from Naif Arab University for Security Sciences. 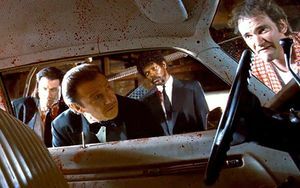 He is among the 15 men suspected of forming a Saudi hit squad to kill Khashoggi. His fingerprints were found around an electrical socket in the consulate. 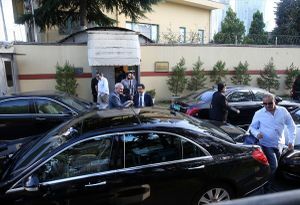 Saudi-Turkish probe into disappearance represents a front to negotiate interests between the two nations, analysts say. 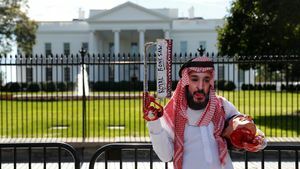 The Saudi prosecutor general announced on state television Friday that their preliminary conclusion about the fate of journalist Jamal Khashoggi is that a fight broke out between him and people who met him in the Saudi consulate in Istanbul on October 2, an altercation which led to his death. 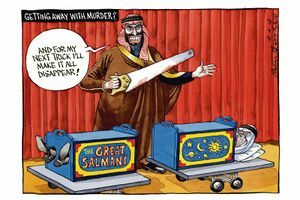 The Saudi top prosecutor also said that while the investigation is still underway, 18 Saudi nationals have been arrested so far. 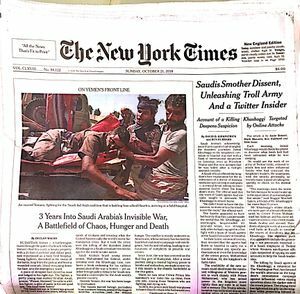 The New York Times suddenly finds out about the Saudi horrors in Yemen. This page was last edited on 1 April 2019, at 12:12.